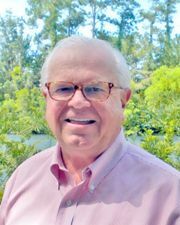 James (Jimmy) L. Rowe, an active member in business and the community, is Senior Partner for Kinghorn Insurance Agency, LLC. President of Rowe Farm, LLC. Director for First Financial Holdings and South State Bank (formerly First Federal Bank). Director for Palmetto Electric Cooperative. Director for Central Electric Power Cooperative, Inc. Serves on the board of the South Carolina Wind and Hail Association and Hilton Head Christian Academy. Member and Past President of the VanLandingham Rotary Club. He is a charter member of Christ Lutheran Church on Hilton Head Island, SC. Mr. Rowe is former President of First Southeast Insurance Services, Inc., and Kinghorn Insurance Services, Inc., (subsidiaries of First Financial Holdings). Served as a Director for the Hilton Head and Bluffton Chamber of Commerce. Served as Director of Lutheran Homes of South Carolina. Served on various insurance company/agency councils. Served on and was the recipient of the Young Agent of the Year Award in 1984. Served on and was the Recipient of the Hayne P. Glover Agent of the Year Award in 2001 presented by the Independent Insurance Agents and Brokers of South Carolina. Served two three-year terms as a director for the Independent Insurance Agents and Brokers of South Carolina. Contact Jimmy Rowe today at 843.837.3911.